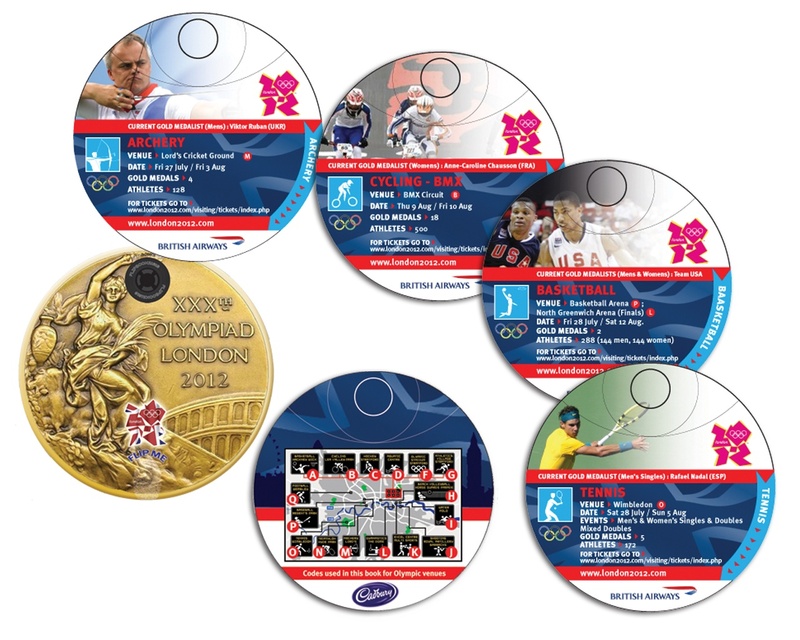 The Flipbooks company commissioned Media Circus to come up with a Flipbook that would act as a complete guide to all the sporting events at the London 2012 Olympics, including dates, venues, current medal holders, how many medals are available to be won and how many athletes taking part in each sport. It was quite a challenge to create a design that could easily and legibly display such a lot of information, and to make it fit into a circular shape and display an image was one of most difficult design challenges faced. 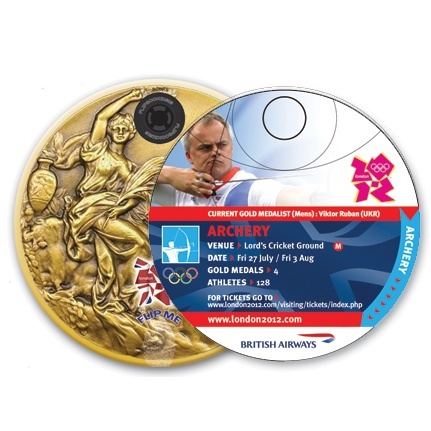 The clever concept was to design the book in a circular shape as a gold medal, that would be hung by a lanyard around the wearer’s neck.